Everyone has heard about Wisdom Teeth and the common need to have them removed, but one question often eludes them. If these teeth are so often a problem for us, why do they even exist and why are they so commonly removed? The answer lies in our evolutionary past and the transition of our diets from one of being heavily based towards rough, hard to chew foods like nuts, leaves, meats, and roots, to a diet of softer foods. 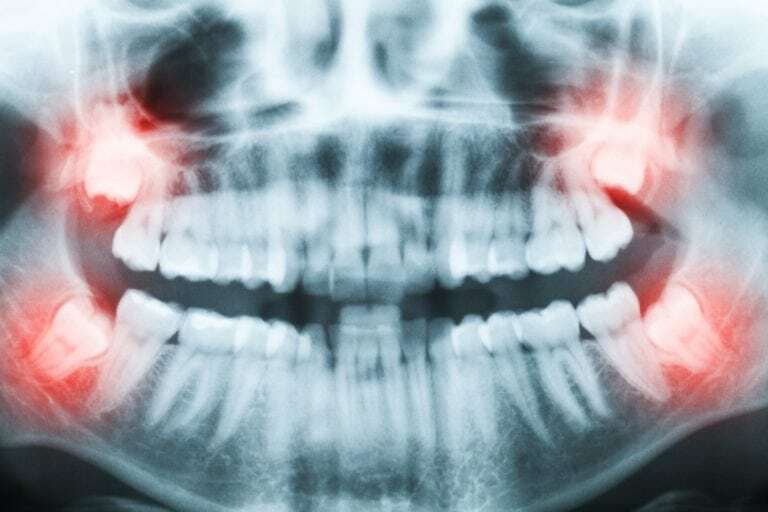 Wisdom teeth are no longer considered to be a required part of our physiology, being relegated to the status of ‘vestigial organs’ that have passed out of usefulness thanks to the process of evolution. Vestigial Organs, Doesn’t Everyone Have Wisdom Teeth? As it happens, no. While many people are under the misconception that everyone gets wisdom teeth, thinking that some people just don’t have to have them removed, only one in four people actually get wisdom teeth during their lifetimes, and not all of these people will get all four teeth. The reason for these anomalies are yet to be understood by science, but what is clear is that for those who do get them there are almost always problems that result. The reason for these issues is that the human jaw is no longer capable of sustaining these additional teeth, it had shrunk throughout the generations to the point where they can no longer be accommodated. There are even cases where certain patients will get more than four wisdom teeth. What Kind Of Complications Can Result From Having Wisdom Teeth? As is probably clear by this point, wisdom teeth can be something of a problem for those individuals who get them. The overcrowding of the mouth combined with other complications such as angular tooth growth can create uncomfortable to very painful experiences that need to be treated. • Nearby teeth can be under pressure causing oral pain. • New teeth can have cysts form around leading to damage of the jaw. • Wisdom teeth can cause sinus pressure, pain, and congestion. • Gums can become inflamed and swollen. • As swollen gums can pull them away from the teeth, cavities can happen in those gaps. • Teeth can become crowded due to not enough room for the wisdom teeth to grow in. These kinds of complications should be seen by your dentist immediately to help avoid them getting worse. After an examination, your dentist will have a plan of action for you, and a clear understanding of what’s causing your pain and how to approach it. In that one out of four people who get wisdom teeth, there are those who can have the teeth grow in without any additional concerns. It’s not a guarantee that wisdom teeth will lead to surgery, but the odds are fairly high thanks to the limited amount of space in the mouth. For those who have more than just the 4 wisdom teeth that come in the odds are even higher. If you have wisdom teeth you should be certain to check with your dentist to ensure that they aren’t interfering with your overall dental health.